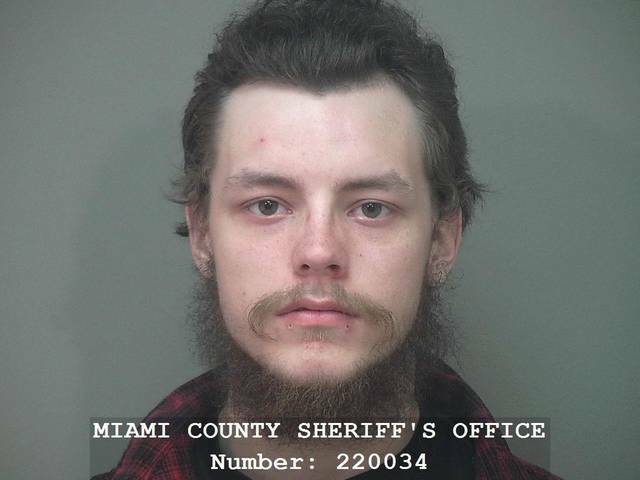 MIAMI COUNTY — A Piqua man was sentenced to serve 90 days in jail and two years of community control for destroying an apartment complex office after he was evicted in Miami County Common Pleas Court on Monday. Trent Toomey, 20, of Piqua, was charged with fifth degree vandalism after he broke into the Bent Tree apartment complex’s manager office and smashed office equipment and furniture. According to the restitution statement, Toomey caused $5,792.73 in damage to the office, which he was ordered to repay to the business. The business provided photos of the damage Toomey caused using a crow bar on July 22. Judge Christopher Gee provided photos to Toomey at his sentencing hearing to jog Toomey’s memory of the “extensive” damage he caused. Toomey told court officials he barely remembered the event because it “was all a blur.” Public defender Jack Hemm reviewed the photos with Toomey. Toomey claimed to not remember due to drinking prior to the incident. Gee also reprimanded Toomey for not having a full-time job and living off others “who feel sorry for you” prior to his hearing. “Breaking news Mr. Toomey, I don’t feel sorry for you,” Gee said. Gee ordered Toomey to serve jail time, obtain full-time employment and complete a substance abuse and mental health evaluation within 30 days of his release from jail. If he fails to comply with the order, Gee reserved 12 months in prison.